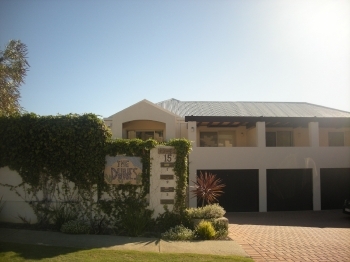 Accommodation in Scarborough, Western Australia. On Monday 22nd April 2019 the sun will rise at 06:42 and will set at 17:49. It's going to be quite a warm day, with temperatures reaching 25.3°C. Today is expected to be a dry day, with a very low chance of rain. It will be quite a breezy day, with a maximum expected wind speed of 16mph. On Tuesday 23rd April 2019 the sun will rise at 06:42 and will set at 17:48. It's going to be quite a warm day, with temperatures reaching 26.6°C. Today is expected to be a dry day, with a very low chance of rain. It will be quite a breezy day, with a maximum expected wind speed of 15mph. On Wednesday 24th April 2019 the sun will rise at 06:43 and will set at 17:47. It's going to be quite a warm day, with temperatures reaching 27.5°C. Today is expected to be a dry day, with a very low chance of rain. It will be quite a breezy day, with a maximum expected wind speed of 19mph. On Thursday 25th April 2019 the sun will rise at 06:44 and will set at 17:46. It's going to be quite a warm day, with temperatures reaching 27.9°C. Today is expected to be a dry day, with a very low chance of rain. It will be quite a breezy day, with a maximum expected wind speed of 19mph. On Friday 26th April 2019 the sun will rise at 06:44 and will set at 17:45. It's going to be quite a warm day, with temperatures reaching 27.7°C. Today is expected to be a dry day, with a very low chance of rain. It will be quite a breezy day, with a maximum expected wind speed of 22mph. On Saturday 27th April 2019 the sun will rise at 06:45 and will set at 17:44. Today is epxected to be an extremely warm day and people are advised to stay hydrated and use sun protection if going outside. Temperatures today could reach as high as 28.4°C. Today is expected to be a dry day, with a very low chance of rain. It will be quite a breezy day, with a maximum expected wind speed of 21mph. On Sunday 28th April 2019 the sun will rise at 06:46 and will set at 17:43. It will be a mild day, with temperatures reaching around 22.5°C. Today is expected to be a dry day, with a very low chance of rain. It will be quite a breezy day, with a maximum expected wind speed of 23mph.